Earn up to 2,104 reward points. 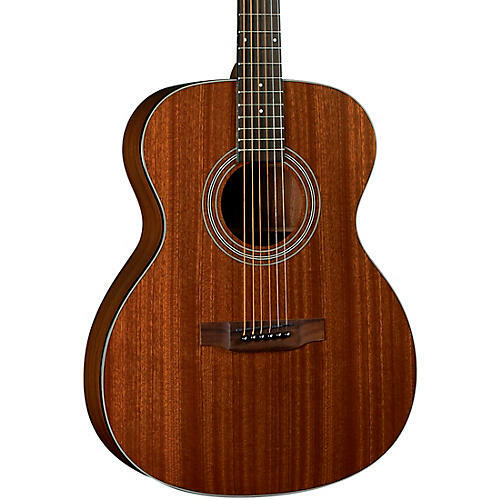 Affordable OOO with all-mahogany construction, including solid top, with fast-playing neck. The Bristol BM-15S all-mahogany 000-style guitar is fast becoming one of Blueridge's most popular models. The Bristol BM-15S features a smaller 000-body shape with a solid mahogany top and neck combined with beautiful mahogany back and sides. A standard scale length and an easy-to-play neck makes it an extremely versatile guitar that is easier to play than a typical dreadnought, but sacrifices nothing when it comes to tone and volume. Priced to meet any budget and built for any pro, the BM-15S is ready to perform. Order this solid-top OOO from Blueridge today.